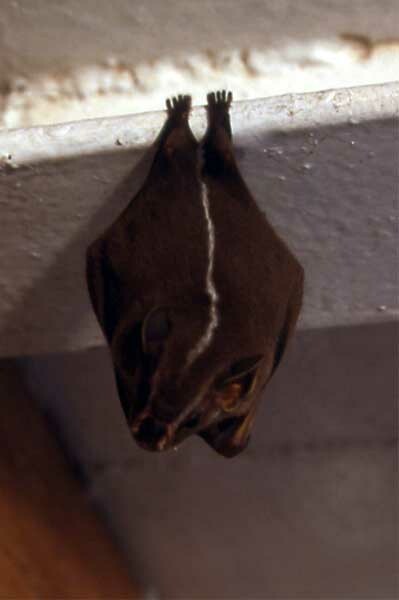 If you think bats are interesting, you'll find the Tent-making Bat (Uroderma bilobatum) fascinating! Most Amazon bats live in hollowed out trees, and return to the same spot to rest during the day. This species, on the other hand, makes a roost by chewing down the rib of a large leaf the sides of which then fold down to conceal the animal. Bats are usually very difficult to photograph but this individual decided to come and "hang out" on the ceiling of a river boat.